Lazio and Verona will be squaring off in Italian Serie A action on Thursday in a game that pits the league's 9th best team against the worst. Lazio will enter Thursday's game with a very respectable record of 9-6-9, which is good for 9th place in the table (33 points). Verona, on the other hand, is cruising towards relegation, as they are currently in last place with a record of 1-12-11. Over the course of 24 games, Verona has managed three points just once, which is certainly not going to cut it in Serie A. According to these odds, a successful €100 bet on Lazio would yield a total profit of €44, while a successful €100 wager on Verona would return a total profit of €650. 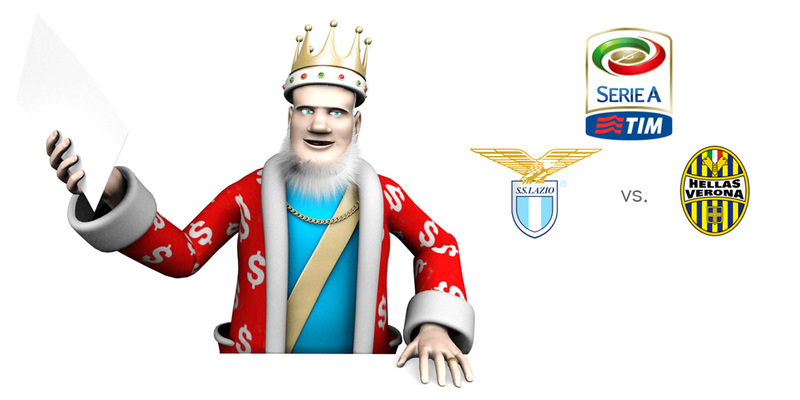 William Hill, which is one of the largest oddsmakers in the world, believes that Lazio will likely win and hold Verona to a clean sheet while doing it. According to William Hill, the two likeliest outcomes of Thursday's game are 1-0 and 2-0 wins for Lazio, both of which are currently trading for 6.50. It is hard to imagine Verona, with all of their problems this year, going on the road to beat Lazio today. This is exactly what Verona will have to do, however, if they have any hopes of avoiding relegation this season.